I caught this quick video of a drone delivering bottle service to a waitress at Marquee Dayclub at the Cosmopolitan on the morning news today and was waiting for someone to share the video. Well, it’s finally made its way around the interwebs. It doesn’t really look cool but it’s a different way for clubs to deliver drinks. New delivery methods of bottle service will be key in keeping the “Look At Me” generation interested in paying 20x+ the retail value for their booze. 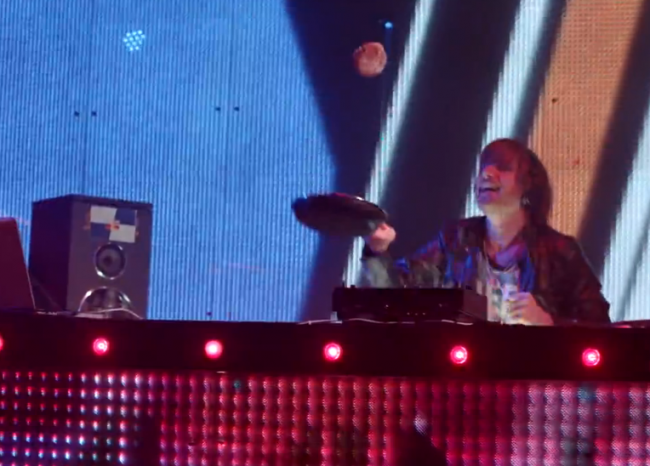 It was really only a matter of time until drones were used for bottle service at nightclubs (or dayclubs). What do you think? Remember the initial marketing campaign (“The Right Amount of Wrong“) for the Cosmopolitan? It was fortuitous in every way. Cosmopolitan is a really nice hotel with lots of good restaurants and bars. 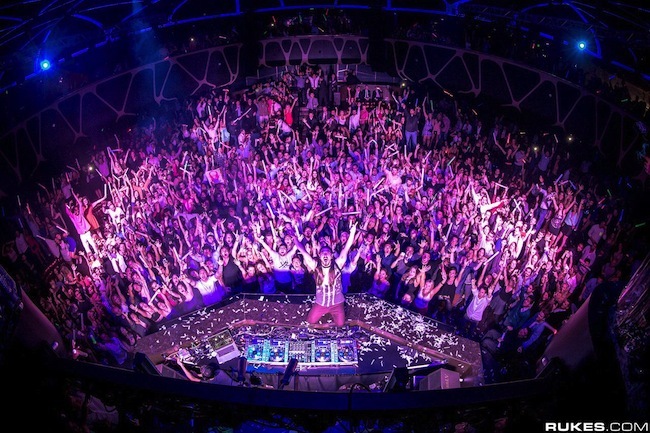 They also have the nightclub that brings in the most money in America with Marquee. Not too many people gamble at Cosmopolitan but that’s OK because the future of the casino business isn’t about gambling. Non-gaming revenue has been more than gaming revenue for over 10 years now. Even though they have so many good things going on at the hotel they keep losing money. However, they do get the Charlie Hustle award for losing less money than the previous quarter. It’s cool, they don’t mind losing money. “We are extremely pleased to see our unique approach to the Las Vegas market translate into the strong numbers reflected in our earnings report. Our 2012 financial performance affirms that the Cosmopolitan of Las Vegas brand and guest experience continue to resonate,” she (Amy Rossetti, vice president of public relations) said. The Charlie Hustle award is named after baseball player Pete Rose who was nicknamed “Charlie Hustle”. He played the game hard and tried harder than just about anyone in baseball. When I played Little League the Charlie Hustle award was given to the kid that tried really hard but wasn’t usually one of the better players on they team. But hey, they tried. Hey, the Cosmo tried. They deserve an award. The Cosmo is doing a little better business than last quarter but they’re still losing money. I like the Cosmo a lot and enjoy going there but at some point they have to make money to keep the lights on. Right? I love the Vegas strip. There’s no place in the world like it. There never has been and there never will be. It’s awesome. 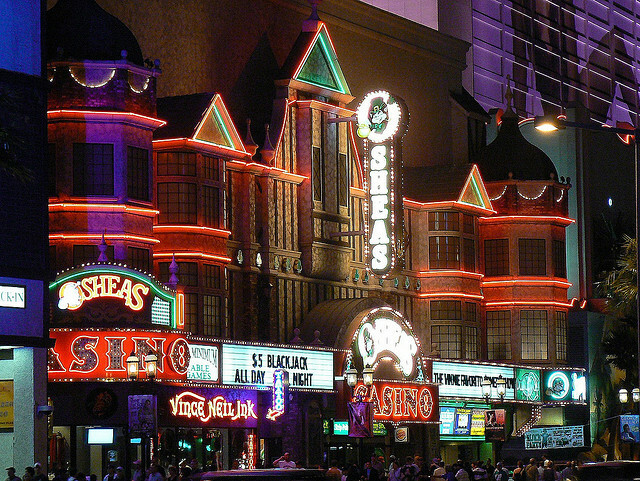 That said, the strip has been changing a lot from when I first started visiting Las Vegas for bettor better and worse. 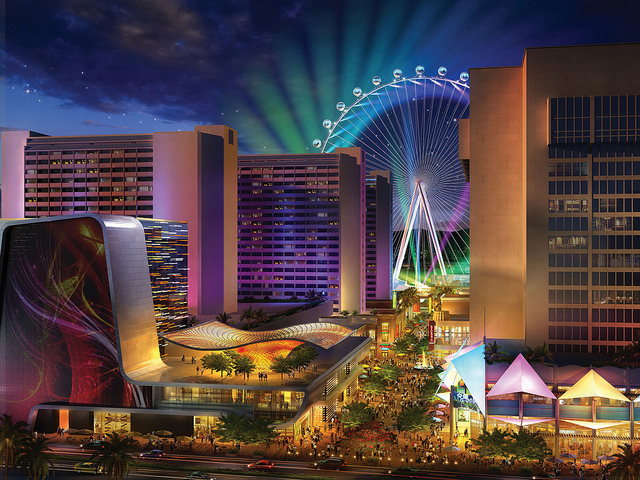 Right now the center of the Vegas strip is where you’ll find plenty of construction for The Linq, The Quad and Bill’s but in the next few years the construction will be moving to the north end of the strip with Resorts World and SLS Hotel. The Vegas strip change isn’t anything new. CityCenter, Cosmopolitan and even Wynn ushered in change over the past decade because their customers are changing. People don’t come to Las Vegas just to gamble like they used to. They come for the night clubs, fine dining and shows. In fact, people have been coming to Las Vegas for those things more often almost every year since 1990 and in 1999 when people began spending more money on things beyond the casino. Revenue is the total amount of money spent and not profit. This chart only shows gaming and non-gaming revenue so let’s look at an approximation on gross profit. The house edge (ie. gross profit) on some of the worst bets in the casino is only 30% with the lowest house advantages being under 1%. Meanwhile, the markup on a bottle of wine in a 4 star restaurant can be 200% or more. Even a soda at a low end restaurant will be marked up over 1,000%. The markup on a bottle of vodka at a nightclub dwarves all both of those. In todays, corporate run, Las Vegas every square inch of a casino has to show a profit. This information has to be reported every quarter and in order to show shareholders that the future looks bright they have to always show a profit. Sure the casino may lure you in but the real money is made on those awesome SW steak dinners or at a table in Marquee. Even if the Cosmo only gets a percentage of the revenue from Marquee there is a nice chunk of money to be made their from small stake plus rent plus overflow spending at restaurants and bars. Gambling hasn’t left Las Vegas. Far from it. 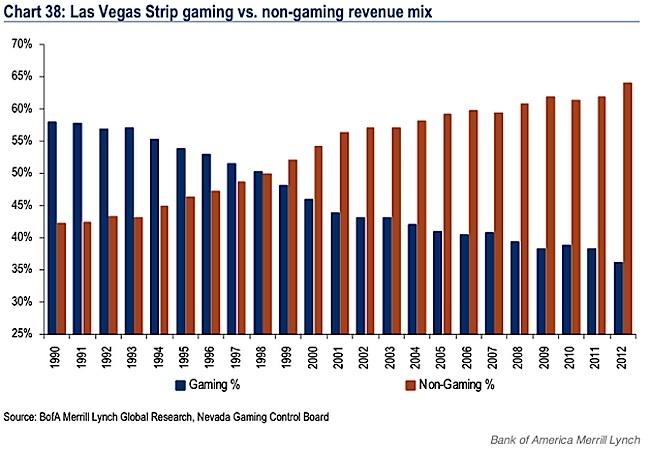 While the chart above shows that 35% of the revenue earned on the Vegas strip is from gaming you’ll find that Downtown Vegas still earns the majority of its revenue from gaming. Moving forward expect this trend to continue. 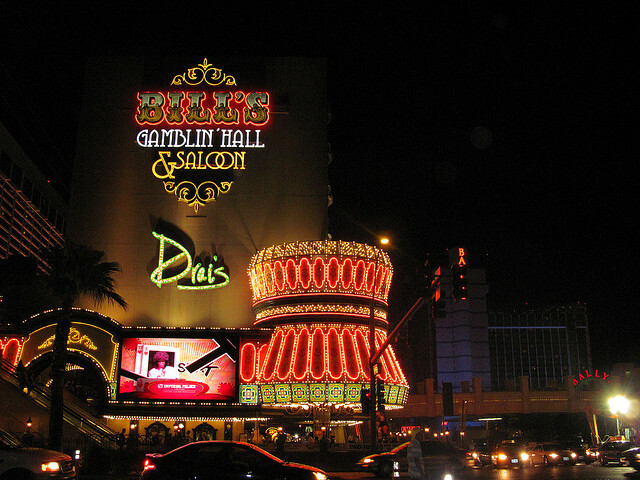 If you’re a gambler you’ll probably find better gaming options and more people like you downtown. If you don’t mind worse gaming odds and don’t mind being around different people you will still be able to find fun on the Vegas strip. Personally, I love the both the gaming and non-gaming Las Vegas and look forward to seeing what the future brings. 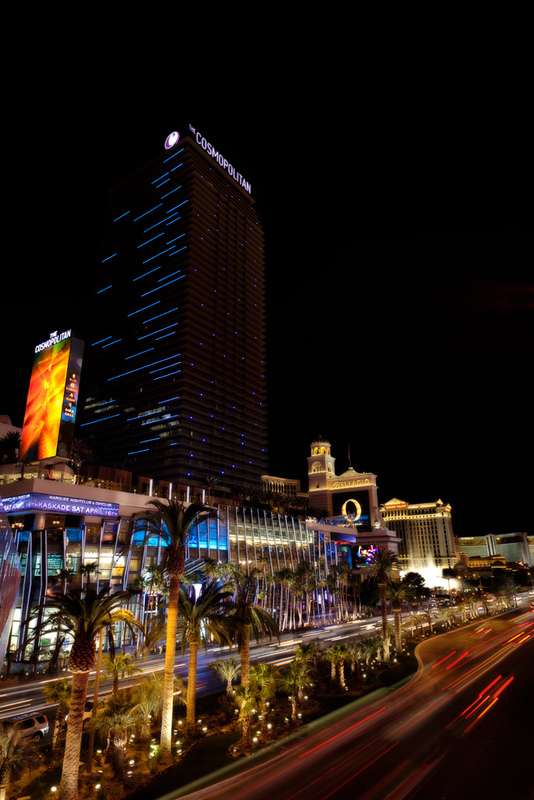 Cosmopolitan of Las Vegas will be adding a $25 resort fee per night for hotel reservations beginning 2013. This resort fee is approximately a 10% hike on hotel rooms that cost an average of $257 per night. The hotel runs at about 86% capacity on any given night so, there’s a definitely demand for rooms at the Cosmo. 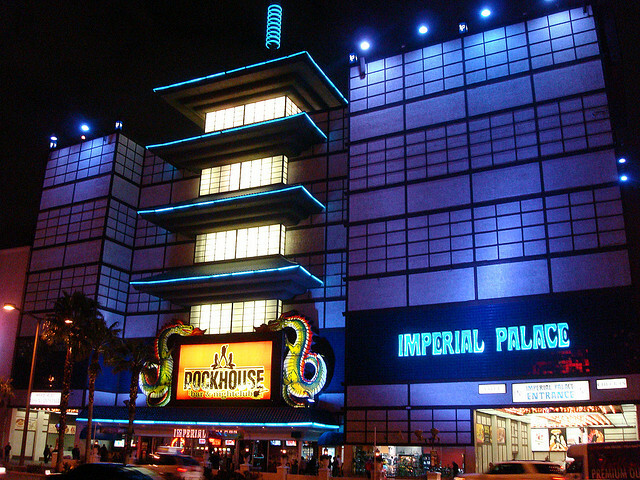 We know gaming is not the strong point at the Cosmopolitan. 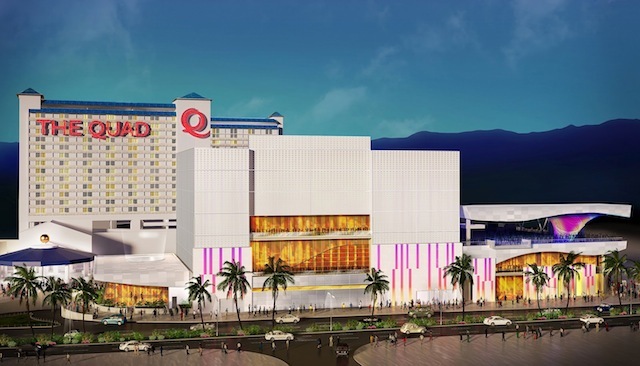 In fact, casino revenue fell 5.5% in the last quarter. An increase of room rates is really all that Cosmo management can do to stop the bleeding. While food and beverage do well, they don’t own 100% of the restaurants or Marquee so they don’t make 100% of the revenue. They may own the bars (I don’t know if they do or don’t), but there’s only so much money they’ll see from 10% drink price increases. However, they do own 100% the hotel revenue. Travel sites like Expedia take a portion of room fees and NOT resort fees so it makes sense that the Cosmo add a resort fee as opposed to normal rate increase. At these rates the Cosmopolitan stands to make approximately $4.5 million dollars per quarter ($25 x 2,000 rooms x 90 days). For comparison that would cover their $1.3 million loss in casino revenue 3-fold. 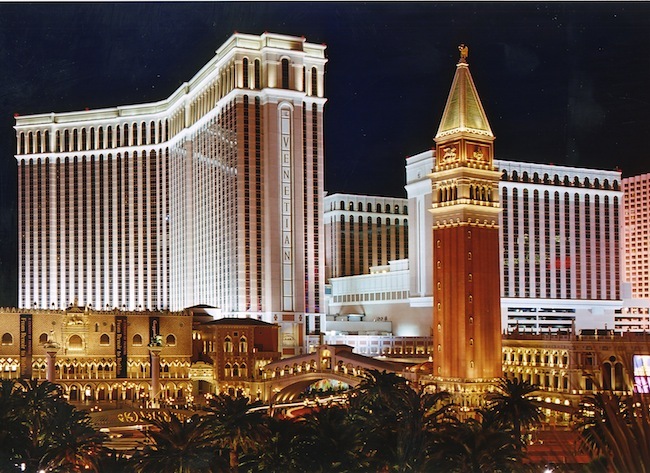 Most casino/hotels in Las Vegas that are on the same level of luxury as the Cosmopolitan charge a resort fee. So, if you want to take your vacation elsewhere you’ll still have to pay a resort fee and similar room rates. This just keeps the Cosmo in line with their competition. 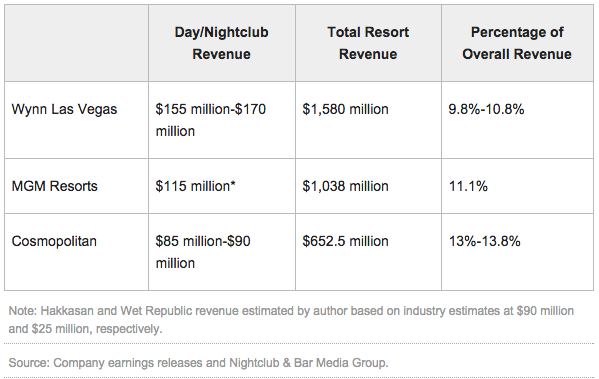 Nobody likes price increases but it’s understandable why the Cosmopolitan changed their mind and added a resort fee after looking at these numbers and competitive factors.